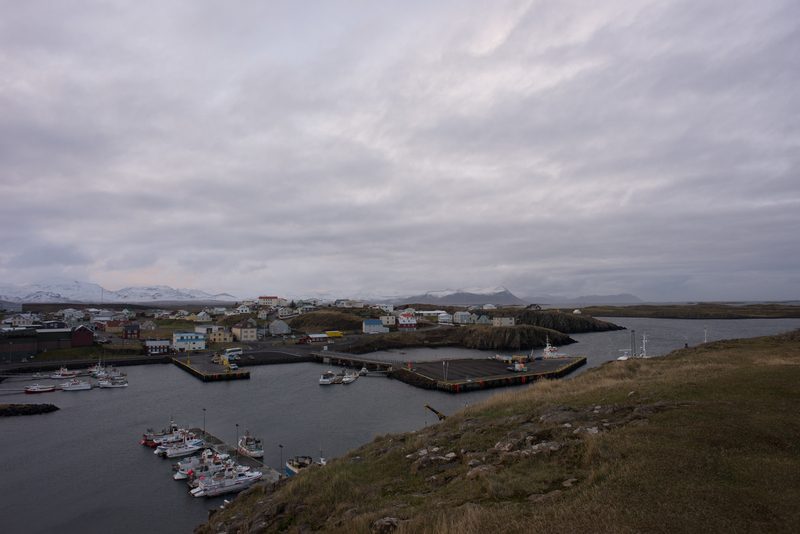 Stykkisolmur – The Walter Mitty Town was a must visit place during our self drive Icelandic Trip. And the reason of putting the place in the list was due to the fact like many others I had also fallen in love with the place while I watched the movie. And then I started reading more about the place and got to know it’s importance in Iceland and in the tourism. 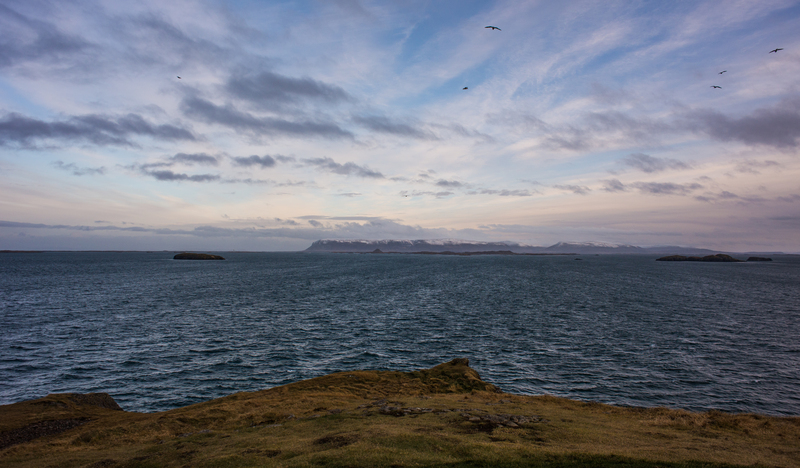 How this smallest town of Iceland got the title of European destination of Excellence. 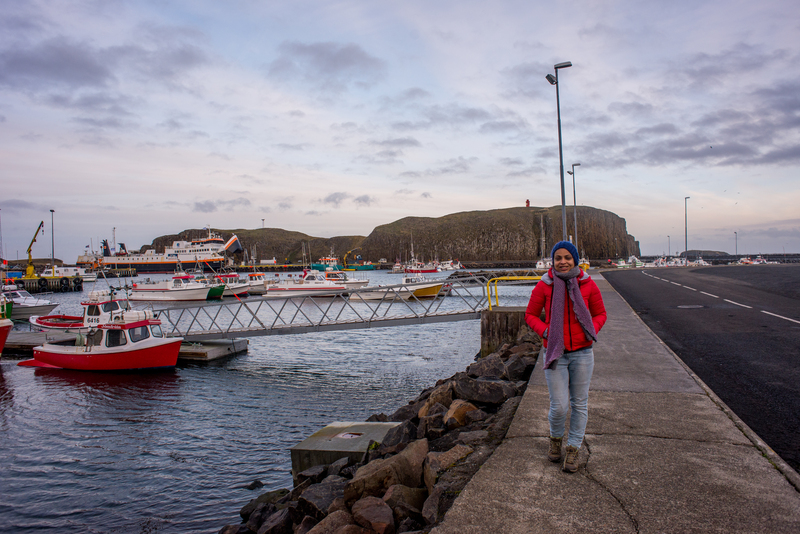 This beautiful town is located in the northern part of the Snaefellsness peninsula. You can combine it with your drive to south west part of the Iceland. We visited this place during the winters and it was so deserted and yet so idyllic and peaceful. I am not sure whether I was in the love with the seashore, empty roads, colourful houses, still boats or I was just Happy to be here. There are many reasons for visiting this beautiful town like the conservation of cultural heritage & history as well as its environmental awareness. 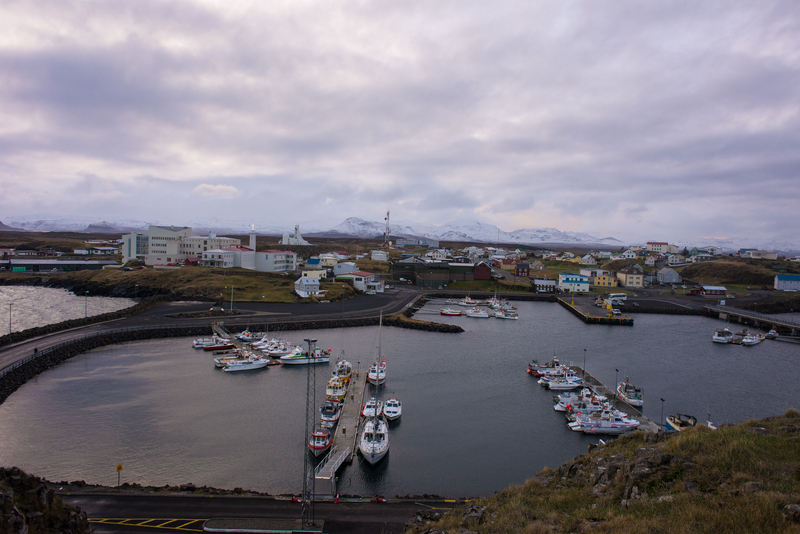 The town was also the first municipality in Iceland to start fully sorting its waste as well as the first town in Iceland to receive the prestigious Blue flag eco-label for its harbour. The hot water used in Stykkisholmur is completely sustainable as it is reinjected into the ground when it has been used for heating purposes. The town has on top of all this started a project eliminating invasive plants from its land. Oh yes the road you see in the above picture, is exactly the one when Walter Mitty ran to get into the helicopter. I was so delighted to be standing here. Fishing and tourism are the bread butter of this town. 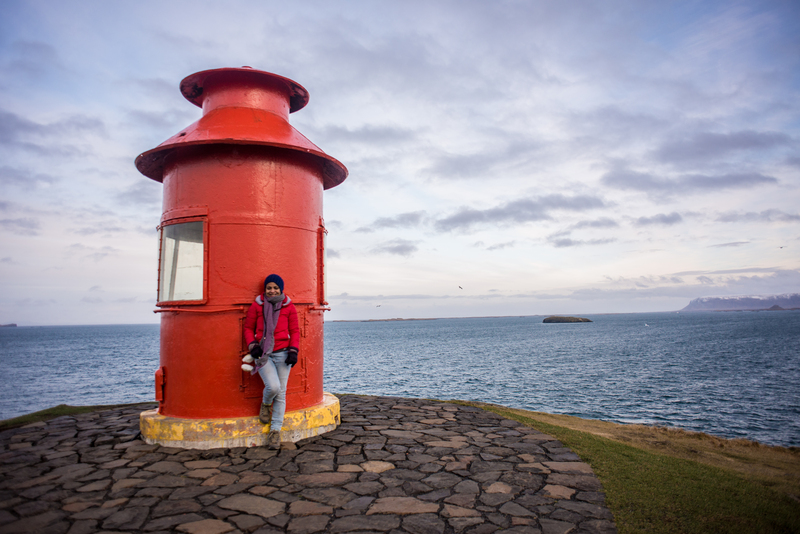 You can walk upto an adjacent island which showcase an old red light house. It is a small walk from the town. The view from the top is worth it. Wondering how does the scenery looks like while driving towards Stykkisholmur during the winter months, the picture below is a snap shot of the same. It looked more heavenly than this. I did not see the movie, but I do enjoy the short story. This town is delightful and I’m glad to know more about it. Now when I do see the movie someday, I’ll know what I’m looking at.